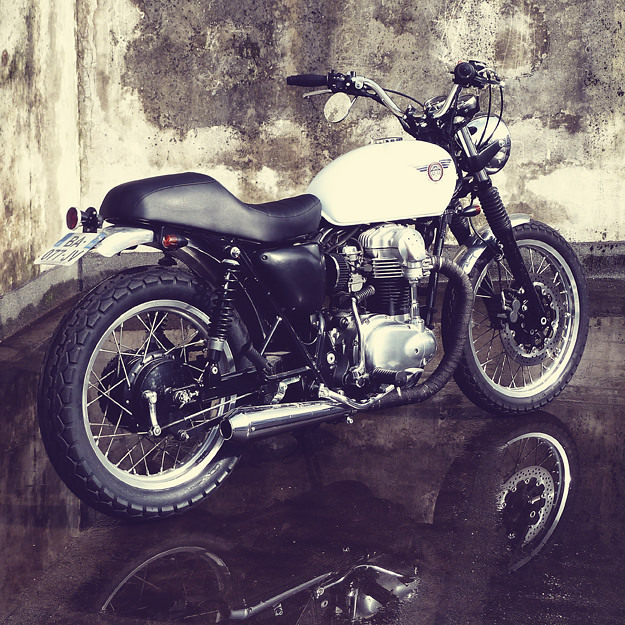 The bread and butter of Bike EXIF is anything but bread and butter motorcycles. It’s the cutting edge of custom and classic machinery. But for most of us, budgets are limited. 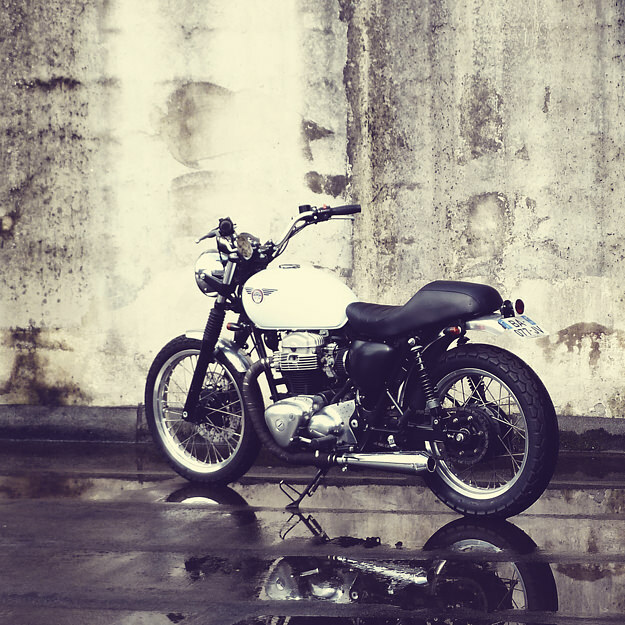 Workshop space is invariably limited too, and motorcycles are often a pleasure to be squeezed into busy lives. So it’s good to feature a “real world” daily driver now and then. 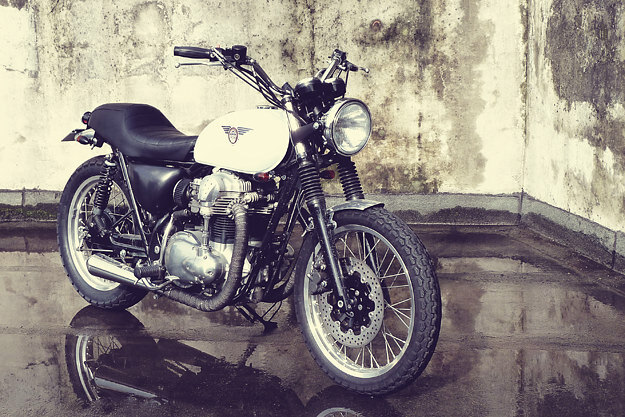 Like this Kawasaki W650 owned by Jérôme Pierre, who runs the French moto blog Un Pneu Dans La Tombe (“A Tire In The Grave”). 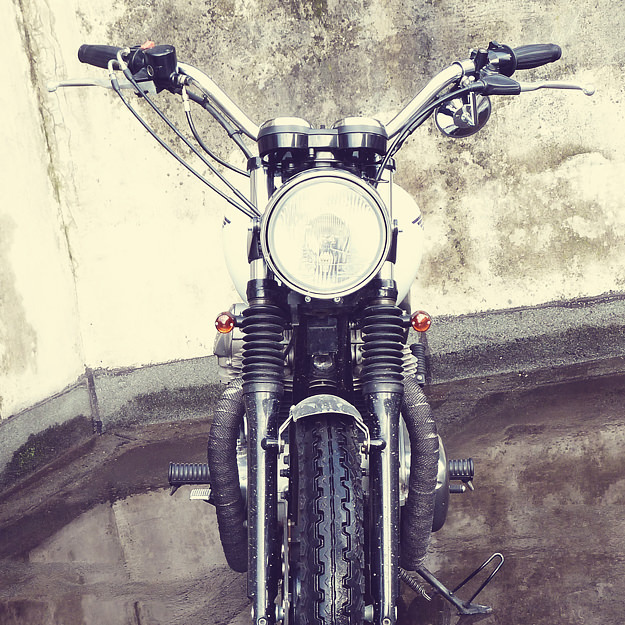 This W650 is Jérôme’s attempt to personalize and improve his bike without breaking the bank or compromising reliability. 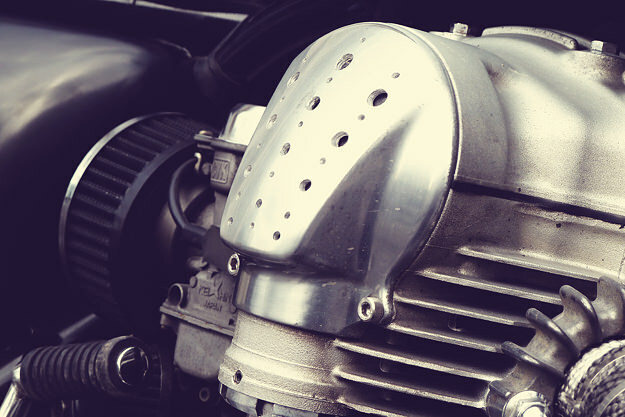 The W650 motor is stock, apart from drilled gear housings, but runs aftermarket filters. The stock exhaust system has been cut down, fitted with black wrap, and terminated with Megatron mufflers. The bars are stock, because Kawasaki got it right. “They’re comfortable, and have a kind of dirt-track feel with good leverage.” But the rest of the W650 is full of small and seemingly insignificant changes that improve the look of the bike beyond showroom stock. At the back is a vintage Lucas stoplight. Mini blinkers have been fitted all round. The universal alloy fenders have been trimmed to a minimum before being installed. The headlight has been lowered slightly with an aftermarket bracket, so it now sits more in line with the seat and the tank. The seat is perhaps the most involved change. Jérôme searched for a seat from the Japanese maker Logic Brand, but with no luck. So he had a similar design made up by Cannock In-Shop, a motorcycle seat specialist. And it’s practical too: there’s even small space underneath the seat unit to accommodate a U-lock. “These modifications have made the W650 lighter,” says Jérôme, “and the motor is more efficient. It’s not a competition bike, but it’s very fun to ride—and plays a music that pleases me very well”.